Over the weekend the New York Times ran a story about the event that first sparked the FBI investigation of Donald Trump’s connection to Russia during the 2016 campaign. It turns out that campaign advisor George Papadopoulos got a little tipsy in London and told the Australian ambassador to Britain that Russia had lots of email dirt on Hillary Clinton. Sure enough, a couple of months later WikiLeaks released a huge cache of emails hacked from the DNC server. The ambassador to the United States Joe Hockey personally steered Australia’s dealings with the FBI on explosive revelations of Russian hacking during last year’s presidential campaign….It is also understood there is now annoyance and frustration in Canberra that the High Commissioner to Britain Alexander Downer has been outed through leaks by US officials as the source of information that played a role in sparking an FBI probe into the Trump campaign’s dealings with Moscow. So Papadopoulos told Downer, who reported back to Canberra, who then instructed Hockey to tell the FBI about this. And that’s when the Trump-Russia investigation started. Unfortunately, we didn’t really know this when it happened. 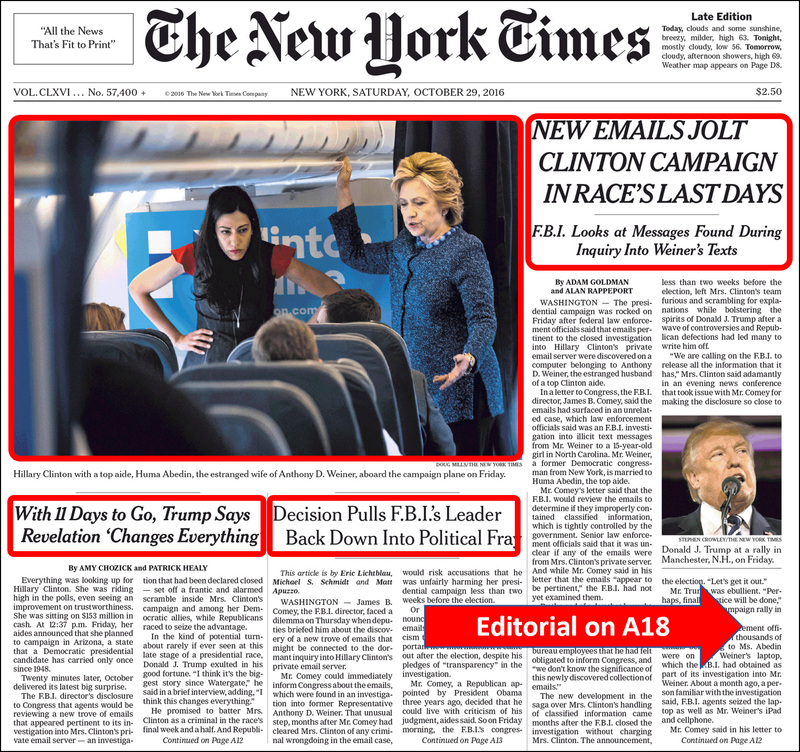 The Times was busy telling us the FBI investigation had found nothing and then giving over its entire front page to Hillary Clinton’s emails—even though there was zero evidence at the time that any new emails had been discovered. Oh well. Bygones.